If you’ve suffered a puncture, you’re struggling with a flat battery, or you’ve discovered a fault, get in touch with the team at Tollgate MOT & Service Centre Ltd, based in Stafford, Staffordshire. Our team provides a full range of solutions, including new tyre fitting, exhaust repairs, and diagnostic services. No matter what you need, we’re here to help, so call us now. When your engine management system is giving you trouble or your engine is not running correctly, you can contact us to arrange a booking. We use Delphi diagnostic systems in order to fix your car in no time, enabling you to get back on the road and to get on with your day. As the weather gets worse in the winter months, it is better to be safe than sorry when considering your vehicle. Bring your car into our car garage and we'll provide you with a FREE brake check. Call us today to book. 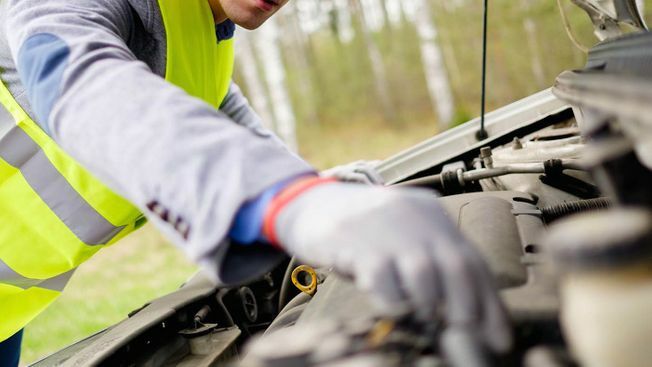 Vehicle breakdowns can happen when you least expect them, that is why we are here right when you need us with our reliable breakdown recovery service, contact our team today for more information. Contact us, in Stafford, Staffordshire, to find out more about our new tyres and exhaust repair services.